I guess there's not a huge rush on St. Patrick's Day cards, but since I am Irish and that happens to be my birthday, I am partial to the holiday. 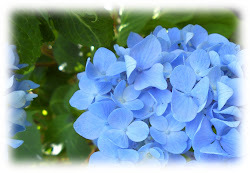 If you want to see some other photos, I've got a new post up at my other (neglected) blog, bleu hydrangea. Colleen this is a delight! Love the ribbon banners and those pretty pearls. But I must say I'm completely smitten with those teeny shamrocks! You should link this up with my friend Mynnette's Inkspirational (link on my sidebar) they have a green challenge running that ends pretty soon!! Looks like we were visiting each other at the same time today ;) I thought of you when I was making my DeNami hydrangea card!! oh love what you did here with the ribbon..looks pretty..
Have fun organizing your new space! And happy birthday in advance! OOHH this is so pretty! I love the ribbon banners! have fun moving in to your craft space! I don't understand why this was a reject! It's gorgeous with all those ribbons and the pearls! I love those tiny shamrocks too. This is gorgeous! I loveeeeeeeeee the pennants and the pearls!!! Look at all those pretty ribbons! What a fantastic card :) So glad that your trip to IKEA was successful. Can't wait to see how the reorganization turns out! LOVE the ribbon banners! 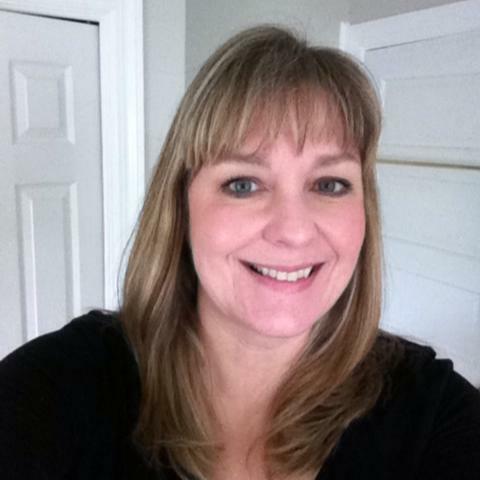 The pearls are FAB, too, Colleen! Super card! lovely. simple but very beautiful. Love the little shamrocks! Can't wait to see your new crafty space...sounds fabulous. Wow ! What a elegant card with shades of green ! Loved the combination of embossing and pearls ! It fits in Inkspirational challenge theme also (shades of green). So gorgeous! And fresh looking! 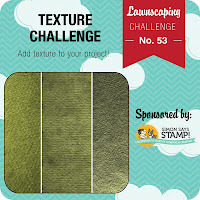 Love your interpretation with the texture challenge, Colleen! Love your need row of green ribbons! 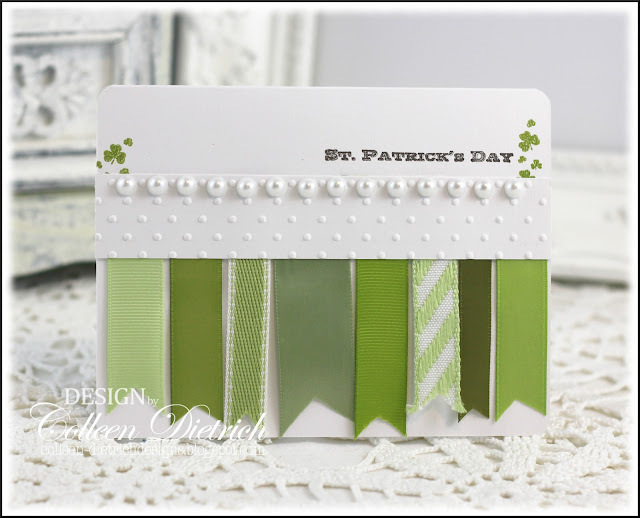 Love how you showcased the lovely ribbon on your sweet St. Pat's card! So much texture, which I so admire! Take care and happy early birthday...enjoy...hugs! What a wonderful card, love the row of pearls great finishing touch. Beautiful! Love the different ribbons and what a great way to show all that wonderful texture too! (BTW for some reason your post no longer show up in my reader or my inbox??) Strange. I just happened to pop in. How fun to have a new space in which to create! Have fun organizing! Can't wait to see! And I just love what you've done with all those fabulous ribbons on this card! Too cute! Happy Birthday, Colleen!! Love this card---great way to use up those small pieces of ribbon. What a great layout! Wow! This is so fresh and fun and a perfect way to celebrate St. Pats! Love it. Hugz! This is the cutest idea. I just love it..
the ribbon, pearls and textured paper all work perfectly to add texture- love it!! 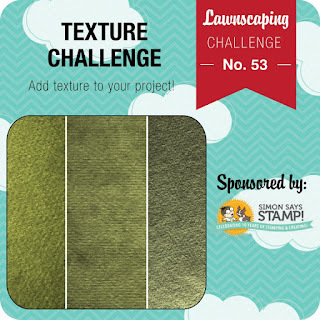 thank you for playing along with us at lawnscaping! Delightful ribbon card for St. Patrick's Day...really unique. I'm with you on the organizing. That is always so much fun. Can't wait to see what you do with your room. I love it! All the green with that pristine white and those cute little shamrocks in the corners -- adorable! Can't wait to see your new space!